Home Inspections - CWIS LLC. We have extensive experience in Home Purchase Inspections, Residential Home Inspections, Light Commercial Inspections, Construction Progress Inspections, Radon Inspections, and Sewer Scope Inspections. We also offer One Year Warranty Discounts, Military Discounts, 24 hour Inspection Results, 48 hour Radon Results, 48 hour Sewer Scope Results, permit check with the Regional Building Department and Appliance Recall Verification. This is the most common sort of home inspection. They are conducted to identify for the potential purchaser that the property that they are planning to buy is free from serious defects that could be potentially dangerous or costly to repair. The inspector looks carefully at all home systems such as the heater, appliances, as well as the roof, locks, doors and windows, lighting systems, visible plumbing and electrical systems. While the home inspector is not normally a trained plumber, electrician or heating and cooling technician, he or she has been trained to know what to look for to identify what might be problematic for a new property owner. CWIS has conducted many such inspections for the US Department of Housing and Urban Development (HUD). 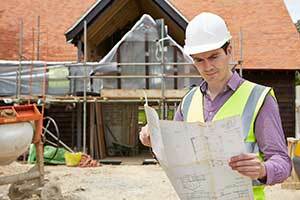 And can provide the potential home purchaser with the peace of mind to complete their most expensive purchase. ​When a consumer or a contractor obtains a loan to construct a home or other project, it is very uncommon for a lender to give all the money required to complete the construction at the beginning of the project. What usually occurs is that the lending institution asks for periodic inspections to be conducted to determine that the project has achieved a percentage of completion that justifies the next amount of dollars to continue the work. 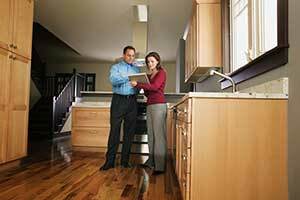 CWIS has inspectors who are certified to complete these inspections for lenders. Radon is a colorless, odorless, tasteless gas. It occurs naturally as a decay product of radium. Studies have shown a clear link between breathing high concentrations of radon and incidence of lung cancer. Radon is a contaminant that affects indoor air quality worldwide. According to the United States Environmental Protection Agency, radon is the second most frequent cause of lung cancer, after cigarette smoking, causing 21,000 lung cancer deaths per year in the United States. 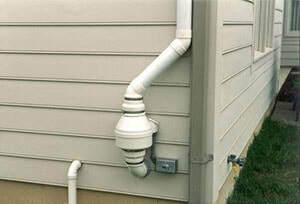 Radon is relatively common in Colorado due to the nature and makeup of our soil. Fortunately it is easy to detect and mitigation is fairly reasonably priced given the seriousness of the consequences. CWIS inspectors can conduct radon testing, at an additional charge, to confirm whether or not radon is present.